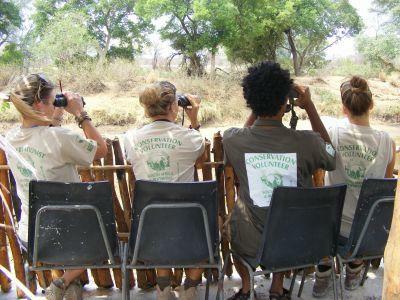 Projects Abroad volunteers on the Conservation Project located on the South Africa/Botswana border are pleased to have contributed to the annual Bird Population Monitoring Programme Count Report. This important project began in 2010 with the aim of producing vital bird data for authorities each year and assisting in the conservation of bird species in the region. BirdLife Botswana, the organisation which releases the annual report, uses citizen scientists to assist with their goals of conservation and habitat preservation for bird species. According to Keddy Moleofi, who coordinates the programme, the counters who joined the programme when it began five years ago, had to commit to the long-term vision of the study, and are finally seeing the fruits of their labour in these reports. Citizen scientists count bird species in their area twice a year, which contributes to the data compiled in this annual document. Thank you to all the staff and volunteers who helped contribute to the study. To find out more about how you can get involved, please take a look at our Southern Africa conservation page.